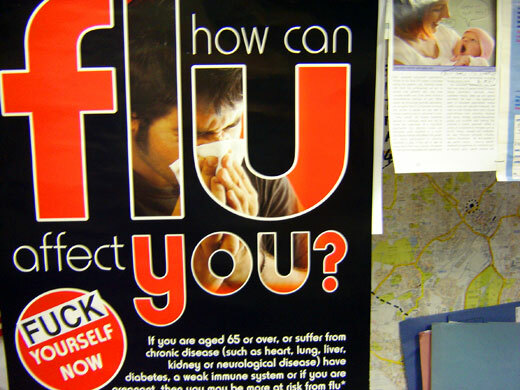 How can the Flu Affect You? That was what I did last year!….I’d hate to be predictable. More important is: Can anyone guess what the baby is saying in the top right corner?